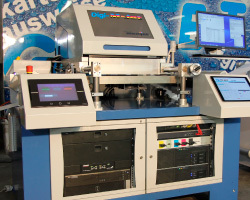 Digikett is manufacturer of integrated print solutions! 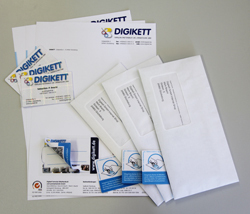 Digikett is a printing company specializing in innovative and high-quality printed products. Our goal is to create the right printing products for your needs and to make you stand out with inteligent and integrated paper products. We are a highly qualified and motivated family business in the north of Germany. We produce printed products with laminated, integrated cards and integrated labels, which are seamlessly embedded in the paper and are detached easily. We are also specialists for continuous forms and personalized advertising in black and white and full colour. Digikett products are produced with great expertise and attention to detail. 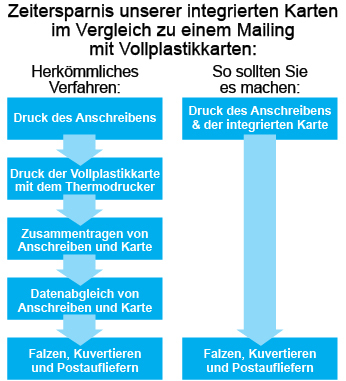 With our seven laminating systems, we are able to implement complex form solutions quickly - from small numbers (1000 DIN A4) to large runs (up to now 35 million pieces in two months). Digikett produces accessories for printing machines and finishing machines. These include "Eurotractors" for transporting pinholed continuous forms, for use in many machines. We have build most of our finishing machines in-house, these include Lamniation, application moduls, and die cutting moduls. They are build modular and can be set up in varioius combinations. 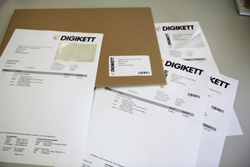 Digikett is your qualified partner for integrated forms, integrated cards integrated labels. This has always been our motto, because we find a solution for every problem! The quality of your product is always our priority. We implement all your special requests! From idear and Layout to a finished mailings. Integrated Card solutions as we call themDiCard. You can personalize these cards with any of your standard laser printers. The foils used are specially pretreated for your application needs. 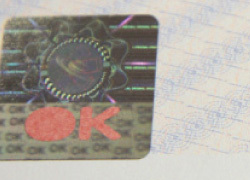 The integrated card is punched free of bars and is held by a thin carrier foil. Integrated labels, sometimes called sesame or laser labels, we call themDigilabel. These are embedded in a form (sheet of paper), which are provided with a back-gluing. Integrated labels can be used in all conventional printers.